Just before Christmas I was lucky enough to finally take my first trip to the award-winning Raymonds. As a foodie, this trip was long overdue! After making the reservation, I could barely contain my excitement and I basically could have skipped from the car into the restaurant's regal front doors. Stepping inside, the tall ceilings and warm ambience immediately made an impression and only heightened my excitement for the experience. We started our meal with a glass of wine, of course. Their selection was unparalleled in the city! Raymonds is most know for doing their wine-pairing meals, which I highly recommend. However, if you want to be most cost aware, consider purchasing a bottle that will go with your main dish. The kind and professional wait staff took our wine order, presented us with a selection of homemade breads and whipped butter and left us to peruse the menu. 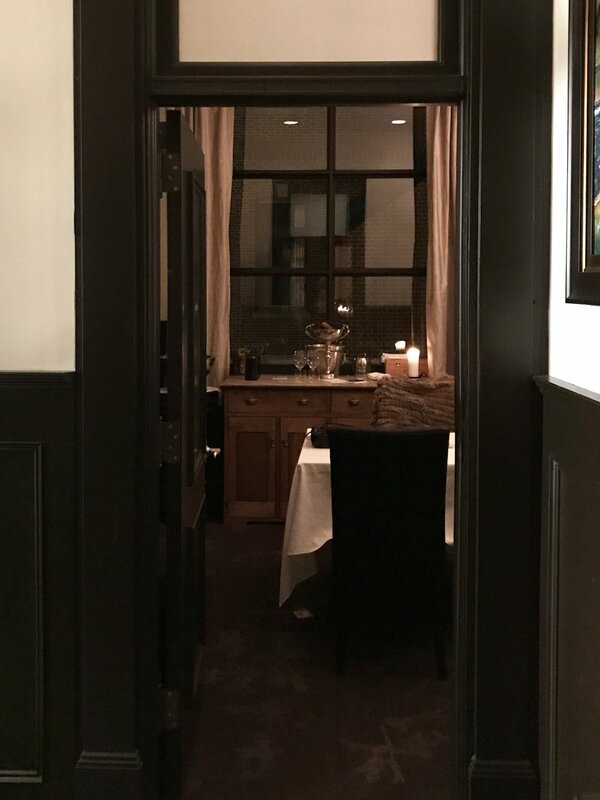 Raymond's offers the options of a 3, 5 or 7 course tasting menu. The 3 course option includes slightly larger sized portions as a traditional meal format (appetizer, main, dessert), whereas the 5 and 7 course options are more of a "tasting" sized portion. For my first visit to the critically acclaimed restaurant, we chose to go with the 3 course menu. However, we also added in a charcuterie board to start! Being a big fan of Raymonds' sister restaurant, The Merchant Tavern, I was curious to see how both of their boards would compare. Needless to say, it did not disappoint. Featuring a selection of meats, pickles, quail eggs and house made crackers, this platter was indeed a step-up from what I was used to and it was devoured pretty quickly. For the 'First' plate we had a choice of tartare, pasta, or tomato salad. I chose pasta! 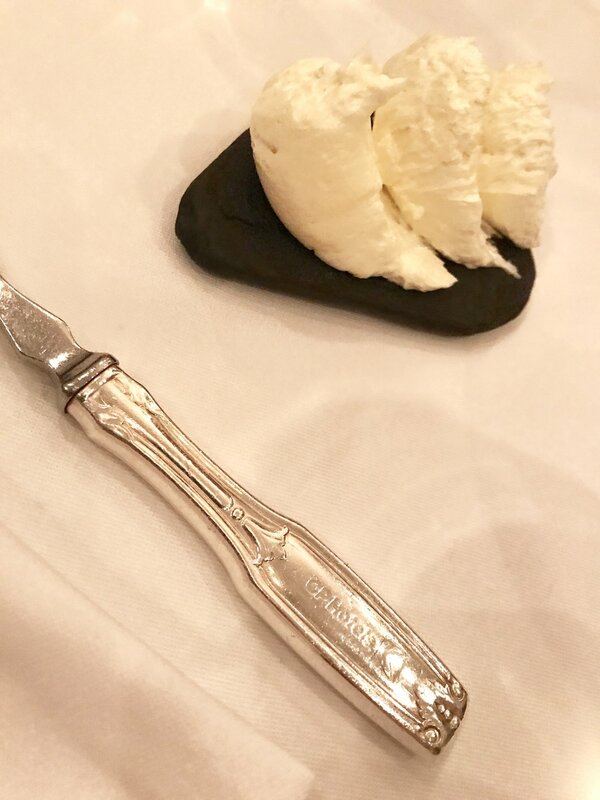 I was presented with a mouth-watering plate of ricotta gnocchi generously covered in parmesan cheese. The texture was perfect and I'm still craving the delicious flavour. My dining partner chose the tomato salad for his First. Personally, I'm not a tomato lover, but this was no average tomato salad. I've never tasted a more fresh and flavourful plate of tomatoes, even I would have a hard time not ordering this one! Once these tasty starters were settled, we were presented with our 'Second' dish. We had the choice of pork, duck or cod. I opted for the duck. It was perfectly cooked, and sliced so perfectly that it seemed to melt away in your mouth. Presented with a selection of local root vegetables and a tasty purée, it was absolutely delectable! My partner chose the cod; with its crisp outer edges and fall-apart centre, it's likely this will be the best cooked cod you'll ever try! Finally, we had our 'Third' - dessert. With the choices of either blueberry, apple or chocolate, we both decided on chocolate. Our final plate featured a base of milk chocolate mousse, a piped dark chocolate mousse topped with snowberries, mint ice cream, and a fried mint leaf. I cannot explain to you the absolute joy this dish gave me! I could eat 10 of them every single day of my life. The dark chocolate was rich and velvety, a perfect contrast to the light milk chocolate mousse and refreshing mint ice cream. The snowberries were also a great as they popped in your mouth adding a sweet, light flavour. Overall, it was an incredible experience and met every expectation that I had. 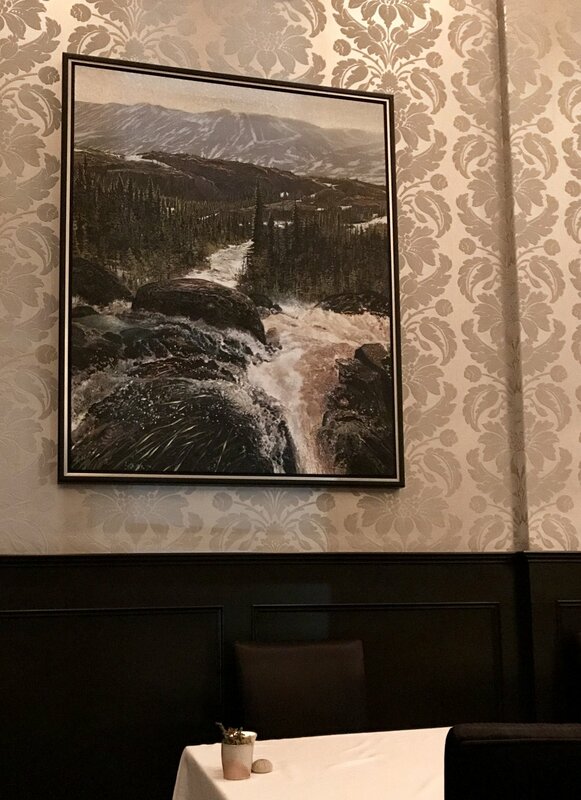 The decor is stunning with a respectable homage to Newfoundland culture, the staff are pristinely professional yet warm, and the food is more than worth raving about. 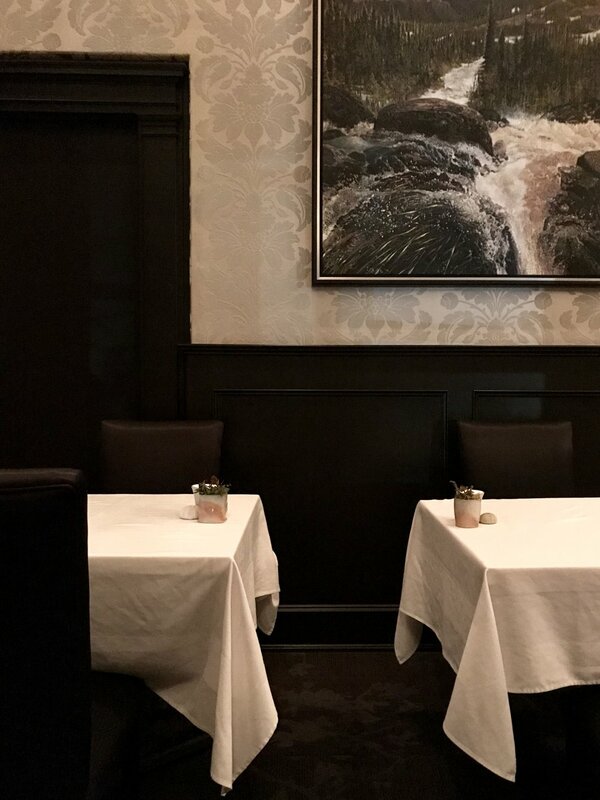 If you're looking to feel a little spoiled and enjoy a great meal, it's time you took a trip to Raymonds.